Want to Level Up Your Career? On 5 December 2017, we were really privileged to have an awesome event with Lindsay Gordon, a career coach with an engineering background who mixes hyper-pragmatism and empathy. 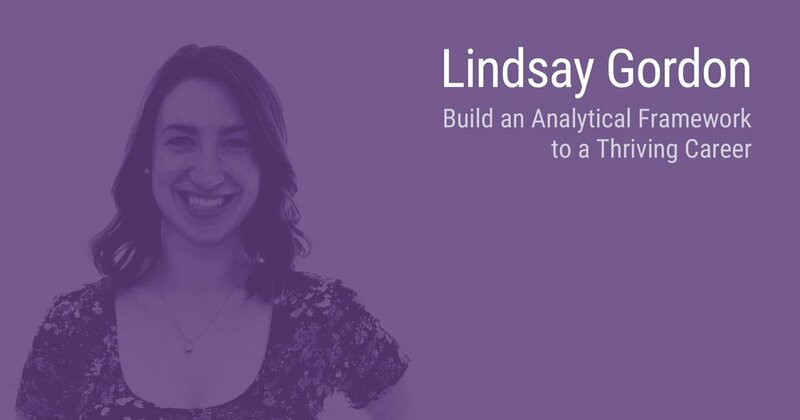 For that event, we build a really great tool based on Lindsay's methodologies to help generate a ton of insights about your career: there's a guide to self-assess your values and the working conditions you thrive in, generate lessons and insights from your most recent jobs, and build an easy-to-use action plan for a better career. We're happy to deliver that to you, for free. It takes about 30 minutes. Great for you to do solo, or with a friend or loved one.